The coins are in fine condition; the settings are new. Coins were acquired in Europe in the early 1980's. 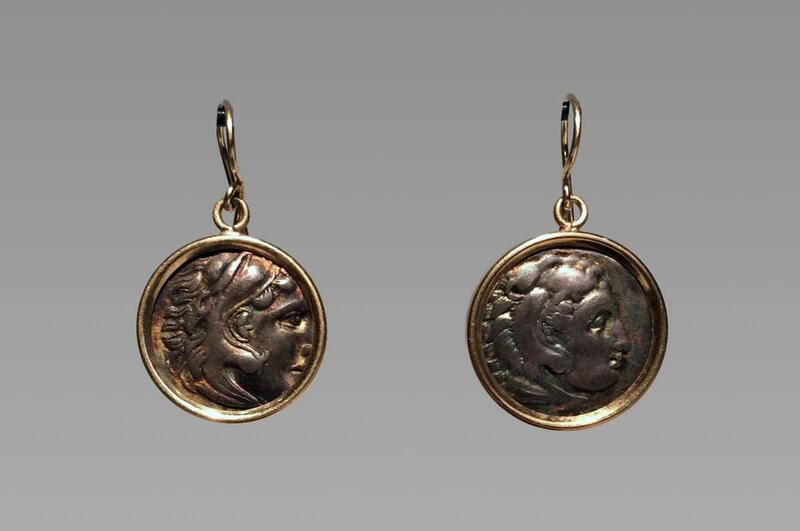 These beautiful silver drachmas bearing Alexander the Great's visage were minted during his lifetime. The coins are set in modern 14K gold earrings. 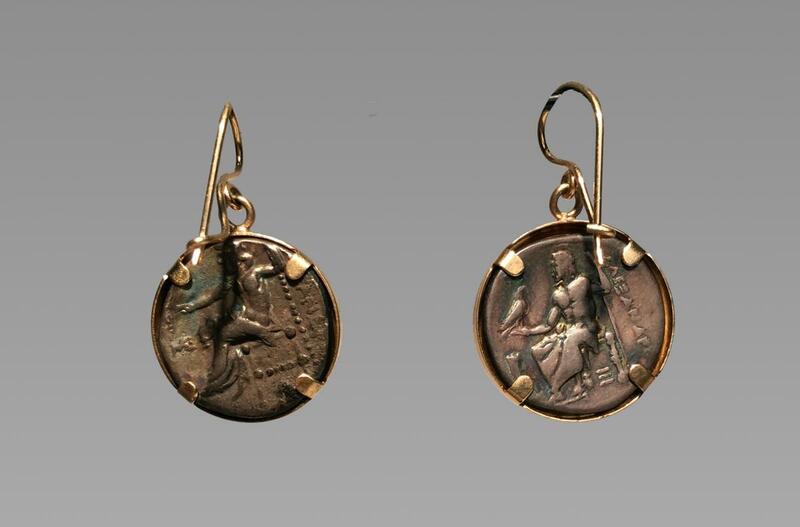 They are stunning and elicit enormous interest due to their age and the historical importance of the coins. The coins are mounted so that the coins could be removed with no degradation to their numismatic value. 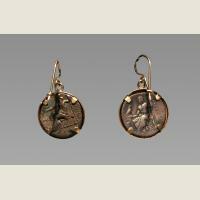 These coins are becoming increasingly scarce so these earrings can be a beautiful adornment as well as a good investment. Alexander the Great was just 20 when he became King of Macedonia and then led his armies to the conquest of the entire known ancient world in just 13 years. 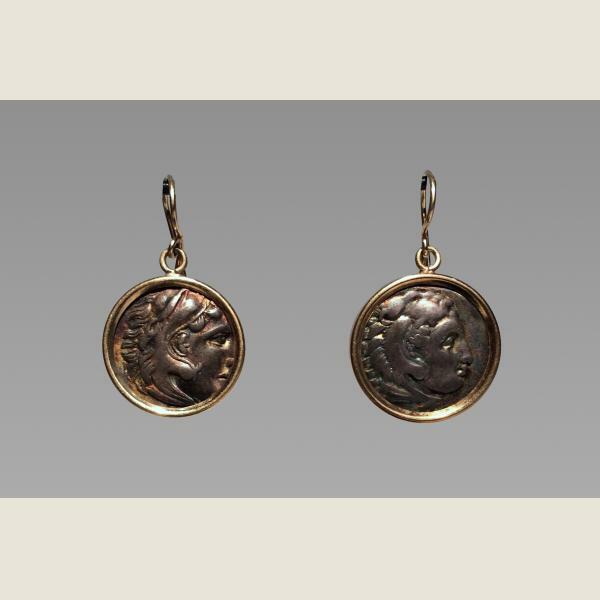 He believed himself to be the descendant of Herakles (Hercules) so the facial features on his coins merge the visages of the two.